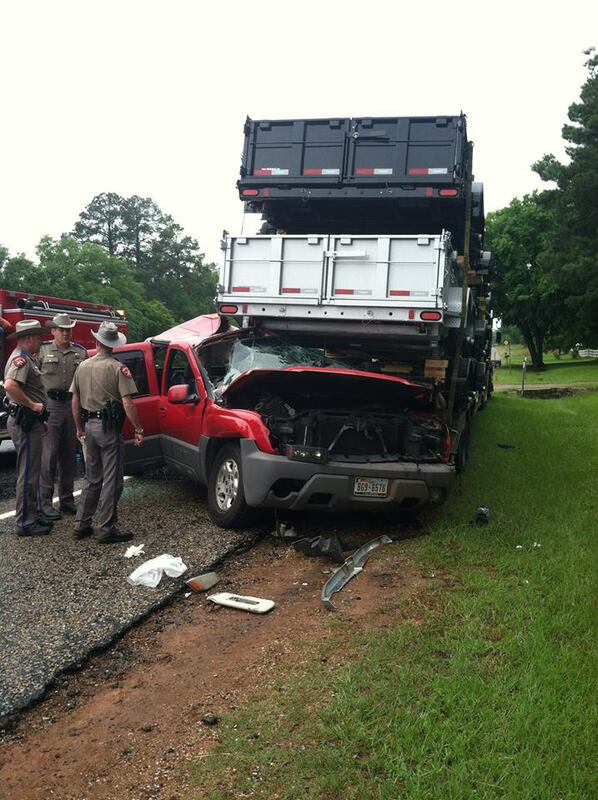 A Longview chiropractor was killed Saturday in a wreck that left three children hospitalized. Thomas Eynon D.C., 43, of White Oak died after he lost control of his Chevrolet Avalanche on U.S. 271 just south of FM 16 in Smith County. The accident happened just after 12:00 p.m. Saturday, on Highway 271 just south of FM 16.Smith Co. Trooper Jean Dark notes that 43-year-old Thomas Bernard Eynon of White Oak was behind the wheel when his Chevy Avalanche possibly hydroplaned and crashed into a parked 18-wheeler on the side of the road. Eynon was pronounced dead at the scene. Three children were taken to East Texas Medical Center in Tyler. One child was subsequently transferred to the Children's Medical Center of Dallas. Eynon’s 5-year-old son, Alden Eynon, and a girl are in critical condition. The condition of the third child, a girl, was unknown. Graduating from Texas Chiropractic College in 1997, Eynon operated Elder Chiropractic Clinic in Longview. He held a Fellowship International Chiropractic Pediatric Association certification. A member of the International Chiropractic Pediatric Association, the Christian Chiropractic Association, the Texas Chiropractic Association and the American Chiropractic Association, Dr. Eynon was a deacon at the Fellowship Bible Church and voted Longview Journal’s Best Chiropractor in East Texas 2002 – 2007 and 2009-2011.